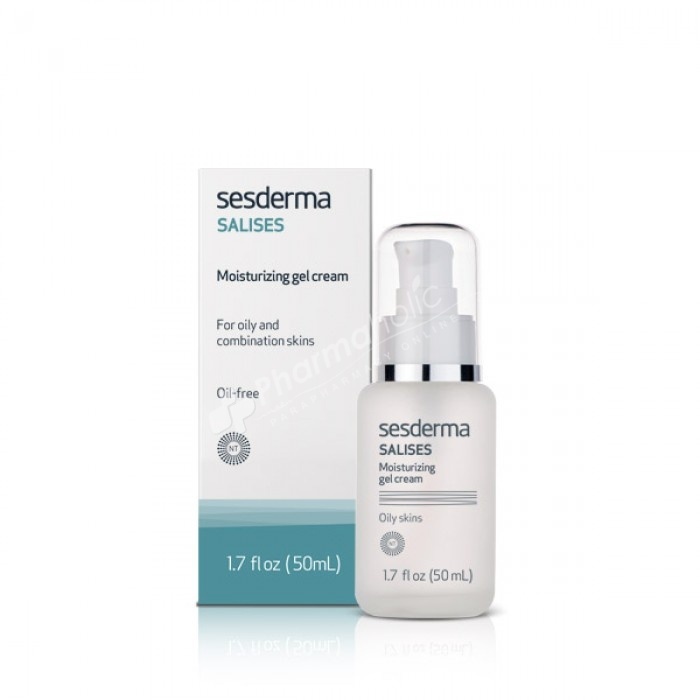 Sesderma Salises Moisturizing Gel Cream exfoliates and helps remove marks: Salicylic acid efficently exfoliates the surface of the skin, preventing the retention of sebum, removing impurities and stimulating cell renewal. Exfoliating and helping to remove marks: Salicylic acid efficently exfoliates the surface of the skin, preventing the retention of sebum, removing impurities and stimulating cell renewal. Regulates excess sebum: The Seboregulating complex and zinc salts reduce sebum production. Astringent which provides a matte effect to the skin. Calms and reduces irritation: Niacinamide, Aloe Vera and plant extracts reduce inflammation. Moisturizes and prevents aging thanks to Aloe Vera, Hyaluronic Acid and Niacinamide. Apply morning and night after cleansing the face with Salises Soap Free Foamy Cream or Salises soap free soap bar.